So lately i'm all about wanting durability in terms of my bags, clothes, shoes, jewellery etc. I think its the age guys. Hahahaha i'll be turning 27 in a few weeks. Anyway i have been intentional in cleaning my handbags and purses and in this post i'll share how i do that plus some hacks i've discovered about making my bags keep looking as good as new. Generally i am one of those girls who will use the same handbag for a week or sometimes two without changing it. When i do change bags before storing the bag away i will clean it first, and then for those bags not in use i will take them out of storage every 3-4 weeks to clean them and store them back again. For some reason i noticed if i just leave them stored away for months when i do want to use them they are sorta dusty even though i keep them in the dust bags. Seriously it really puzzles me! Anyone experiences the same thing? 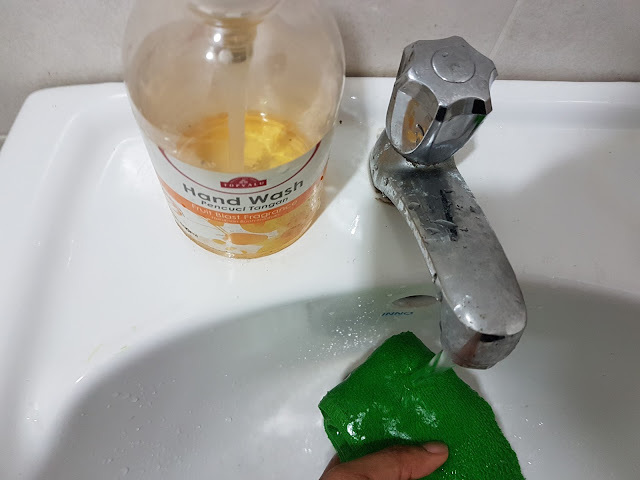 I use a clean damp towel that i rinse with water and a mild soap (usually hand wash does the job) and wipe all around, both outside and inside the bags making sure every little corner or inside pocket is covered. When i'm done i simply leave the bags out in the open to be aerated before storing them bag in the dust bags. 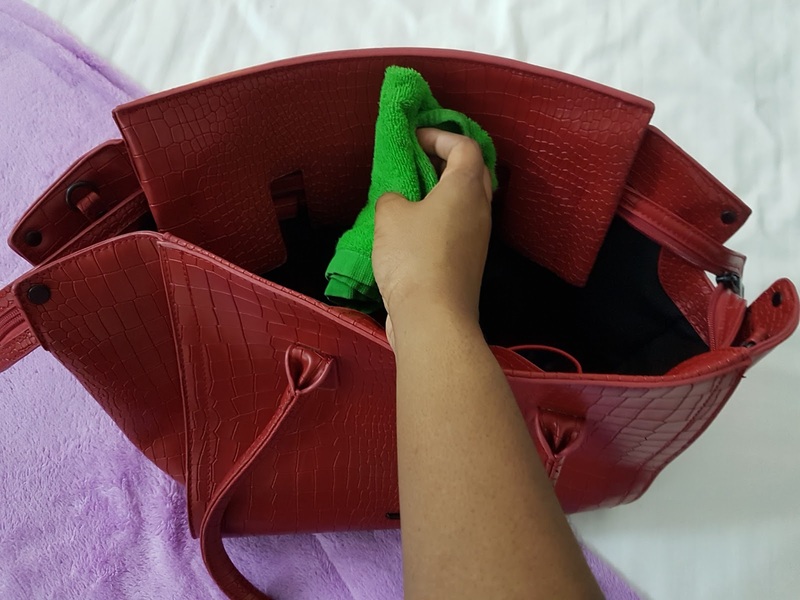 Our hand bags are exposed to so much bacteria on a daily basis, from the washroom, uber, cafe table, you name it, so it is important you take extra caution what i would like to call being a lady hahahaha and do a little clean up of your handbag every 2-3days. 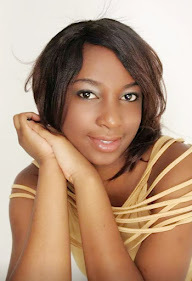 I just empty everything onto the table, throw away all the junk (unwanted receipts, candy wrappers, whatever junk you have thrown inside) This way you are not accumulating a lot of dirt and in a week or 2 when you do a thorough clean up it will be a piece of cake. They say sunlight damages handbags and can possibly fade the color of your bag especially for leather. So do yourself a favour and don't leave your bag laying around under the sun. For whatever reason, if your bag is stained try clean it immediately and don't wait for it to get dry. BTW stop keeping open pens in your bag because it causes ink stains. Go green and use your smartphone, if you really gotta use a pen, or if you are a student, invest in a little pencil case to keep your stationery. Yep! Get rid of odours or funny smells by putting a plastic full of baking soda inside your handbag and leaving it in there for a couple of hours. 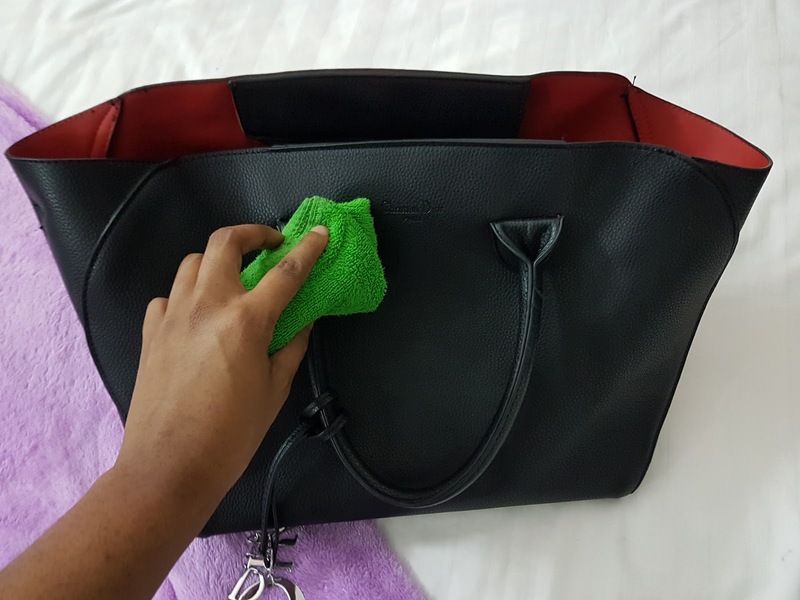 Before you clean your entire bag, perform a patch test on a small part of your bag just to ensure whatever you are about to use won't cause more harm than good. I hope you find the tips useful and are inspired to take better care of your handbags. Please share your tips on increasing your handbag longevity. I am gonna take this tips for sure particulary for my light coloured bags, it should help in elongating their use life ! Girl please start cleaning those bags if you want them to last you long ☺ Thanks for stopping by! Thanks so much for the useful tips, I know what I'll be doing this weekend! You are welcome Roasanna 😘 You have a lovely weekend. Thank u velvet blush 😘 Happy New Month to you. I'm so bad, I pretty much never clean my handbags unless they're a cotton tote that can be chucked in the wash haha! Thanks dear. I'm glad you think so. Thanks for the useful tips! Ive never needed to clean my bags on the inside but I will keep your tips in mind! Thank you for sharing! That's so smart to clean a small spot first--I've wrecked many items by starting with the entire thing!! Really interesting post thank you. Thanks Ashley. Got the idea from Youtube. I should clean my hand bags more often. One thing I've found is that hanging them on a chair is a huge no-no, because the straps start to get worn after awhile! Oops. I feel guilty 'cause I never clean my bags. Hahaha! Thanks for these handbag tips! I need to try the baking soda. I didn't know how to wash my bags! Thanks for sharing! Oh my! Can you believe I've never cleaned any of my bags! It's something that I need to start doing, thank you so much! Thank you so much for this post! I have a friend that never cleans her bags so I will tell her to red this post! Much Love!!! How helpful! I always cross my fingers in hopes that my expensive bags don't get dirty, but you never know.. you gotta live a little then learn to clean up afterwards! Thank you for sharing your tips. I am glad that now I can clean my bags safely and will not destroy them. This is such a great tip! Thank you! Ok you've instantly made me feel horrendous as I never clean my handbag and considering how much I use them, that's awful! I'll most definitely take on these helpful tips! this is such a useful post! I spill so many things and drop crumbs and everything in there, I should really wash mine more often haha. This is amazing! Thank you so much for sharing darling! Super helpful!